BAHAMA: Larry L. Umstead, 82, passed away on Sunday, October 28, 2018 at Hillcrest Convalescent Center in Durham. He was born in Durham to the late Ewell Lyon Umstead and Lucille Thompson Umstead. In addition to his parents, Mr. Umstead was predeceased by his twin brother, Garry Ewell Umstead of Bahama, NC. Mr. Umstead was a life-long resident of Bahama, NC. He was a life-long member of Mt. Bethel United Methodist Church in Bahama, where he joined on April 24, 1949. 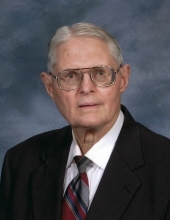 He served as the Church Treasurer from 1967 until January 2017. Mr. Umstead was a member of the Boy Scout Troop 439 in Bahama. In 1955, he became a certified Eagle Scout by the Boy Scouts of America. Mr. Umstead was a 1959 graduate of Elon College and received his B.A. Degree in Accounting Training from LaSalle Extension University in 1964. In 1959, Mr. Umstead was employed with the firm of Rodenhizer and Umstead, C.P.A. In 1966, he started his career with Durham County Schools and in 1971 was appointed to Business Manager. Once Durham County and City Schools merged, Mr. Umstead was appointed to Capital Outlay/Property Officer. In 2005, he retired with 29 years of service. Mr. Umstead and his brother, Garry were devoted to their Mt. Bethel United Methodist Church family and the Bahama Community through various civic activities with the Bahama Ruritan Club. Friends wish to expresses appreciation for the support provided to the Umstead brothers by the Bahama Volunteer Fire Department. They will be missed dearly by all those who knew them. Mr. Umstead is survived by various cousins. A funeral service will be held at 11:00 a.m. on Wednesday, October 31st at Mt. Bethel United Methodist Church with Dr. Robert Simpson officiating. Interment will follow in the church cemetery. There will be a gathering of friends following the interment service in the church fellowship hall. Active pallbearers will be Bruce Knott, Len Needham, Tommy Mangum, Johnny Crabtree, Harvey McQueen and Jim Bock. Honorary pallbearers will be Alton Mangum, Fred Luxton, Jr., Charlie Smith, Reggie Wade and Chris Crabtree. In lieu of flowers, memorial donations can be made to Mt. Bethel United Methodist Church: 1605 Bahama Rd, Bahama, NC 27503. The family is being assisted by Clements Funeral Service, Inc. in Durham. Online condolences may be made at www.clementsfuneralservice.com. To send flowers or a remembrance gift to the family of Larry L. Umstead, please visit our Tribute Store. "Email Address" would like to share the life celebration of Larry L. Umstead. Click on the "link" to go to share a favorite memory or leave a condolence message for the family.